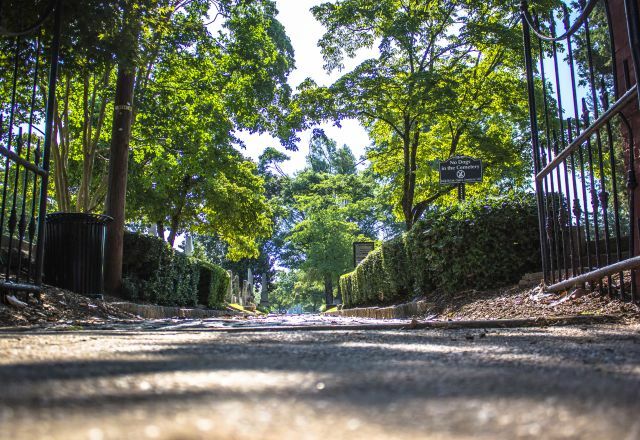 Raleigh, N.C., has a long and storied history, and tales of haunted mansions, graveyards and old state buildings have flourished for decades. There are guided tours, such as those offered by Tobacco Road Tours, that will take you to the sites of some of the more notable ghost stories around town. You can always venture out on your own, if you dare, to see for yourself*. Mordecai House, a two-story mansion located at Mordecai Historic Park, was built in 1785 by Joel Lane and was named for Moses Mordecai, who married Lane’s daughter, Margaret. Mary Willis Mordecai Turk, a descendant of Margaret and Moses, lived there during the 19th century. She enjoyed socializing, playing piano and showing off her magnificent house. The oldest house in Raleigh still on its original foundation, the mansion is nationally renowned for its paranormal activity. Visitors and workers have reported seeing a woman wearing a long black skirt, white blouse and a black tie moving quietly through the hallways. It has been rumored that she can sometimes be seen standing on the balcony if you pass by late at night. In recent years, visitors have recounted hearing a piano playing. Adjacent to the Mordecai Mansion is the ancestral home of the 17th U.S. president, Andrew Johnson, who took office following the assassination of Abraham Lincoln. The small house has only three windows–one beside the front door, one above and a tiny second-floor window on the side. Several realtors who have managed the property, as well as local neighbors, have reported seeing a lighted candle being held by an invisible hand in the first-floor window by the front door. Some have also said they have seen the candle reappear in the little window in the middle of the second floor, so quickly that there is no way a person could go up the stairs that fast to light another candle. The candle is then extinguished, as if with a snuffer. In the northwest corner of the beautiful and Historic Oakwood Cemetery (pictured in header) lays a rather notable angel statue known as the “Guardian of Oakwood.” The stone angel can be seen from the fence on Watauga St. According to legend and locals, at midnight every Halloween, the angel’s head spins around 12 times then stops. There are some who claim that the angel appears to completely turn around, depending on your vantage point, as if to keep an eye on those watching her. It has also been reported that those visiting the cemetery at night could actually see her carved stone eyes following their movement. 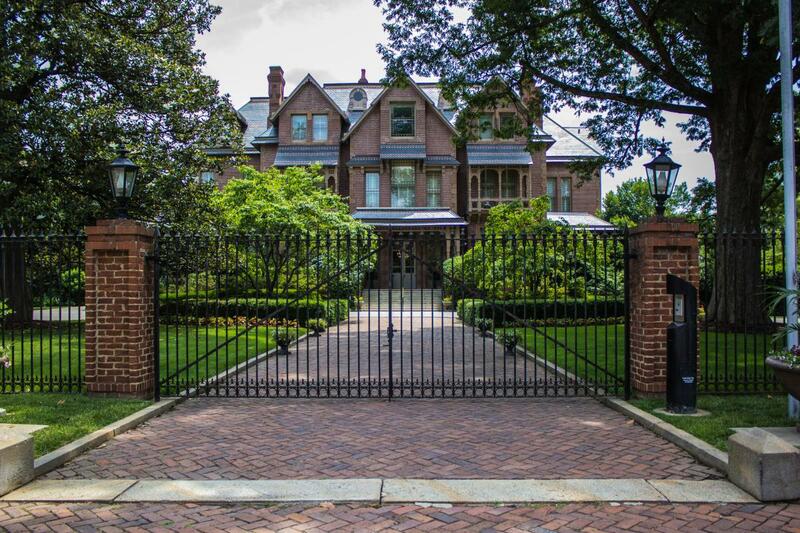 The North Carolina Executive Mansion has had its share of ghostly activity. In the early 1970s, Governor Bob Scott replaced a bed that had belonged to a previous governor, Governor Daniel Fowle, dating back to 1891. Governor Scott replaced the large, carved antique bed with a modern king-sized bed. After moving the new bed into place, Governor Scott reported being awakened by loud banging on the other side of a wall where the old headboard had been. Historians informed him that Governor Fowle had died in the antique bed that he had moved. The banging continued for years, but the source was never identified. After Governor Scott left office, Governor Fowle’s bed was returned to its original location. The banging abruptly ceased, and has not returned since. 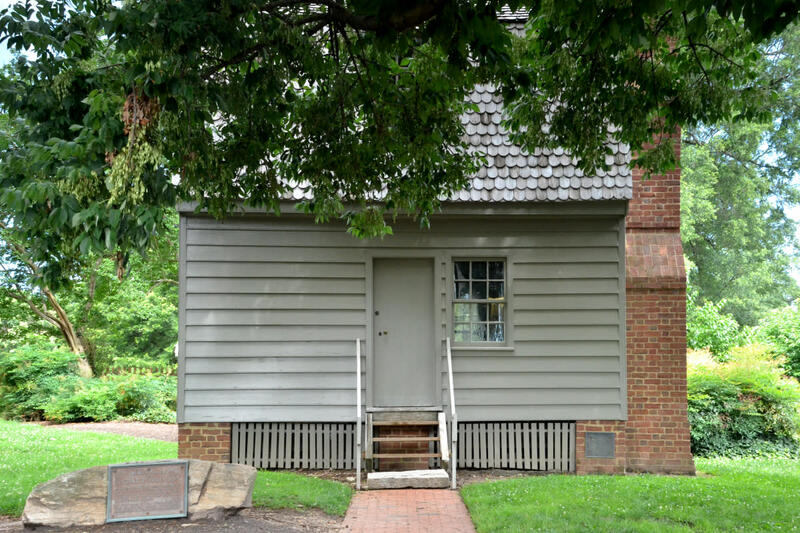 Dating to 1799 and located on E. Morgan St., the White-Holman House, also known as Whitehall, is an original late Georgian/early Federal-style dwelling that was built for secretary of state William White. Residents and visitors have both recounted incidents of hearing the distinctive sound and rhythm of a “peg-legged ghost” walking up and down the back staircase of the house. 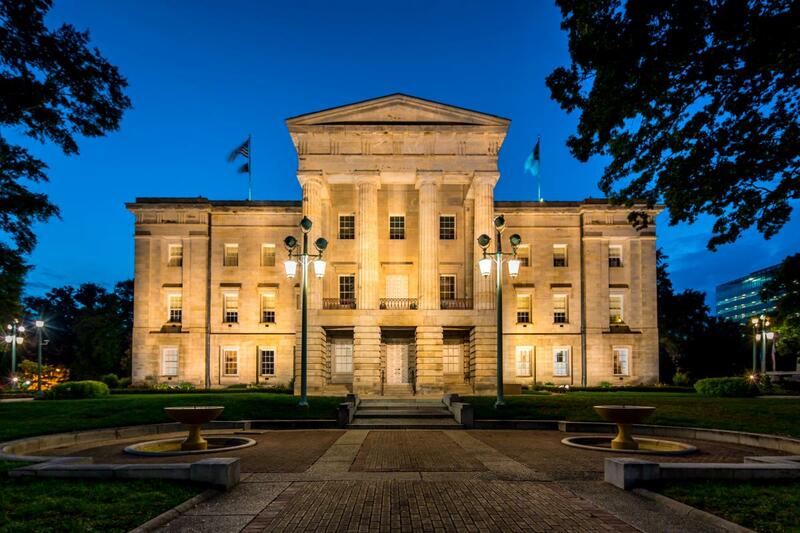 Built in 1840, North Carolina’s State Capitol building is one of the best preserved of all our nation&apos;s state capitols. The three-story Greek Revival structure, with granite halls and period-type furnishings, looks much like it did 160 years ago. Although the state&apos;s representatives have conducted their business in another building since 1961, it is suspected that some of the Capitol’s former inhabitants still putter around the old building. A night watchman, over a period of 15 years, often heard noises including screaming, doors slamming, books hitting the floor in the third-story library, breaking glass, the jingling of keys and footsteps on the stone floors. He also witnessed the manually-operated elevator go up and down by itself. In 1981, a building curator working late at night reported hearing sounds coming from the committee room off the senate chamber. He investigated, encountering an apparition in the doorway, which quickly dissolved. Other ghostly inhabitations have been noted at Haywood Hall House and Gardens, City Cemetery and Moore Square, where a slate of gruesome acts are said to have occurred after the park was dedicated in the 1790s. *As always, no trespassing onto private or restricted properties as marked or after official hours, and always be respectful of historic landmarks and properties.